geniaBeana Scraps: Color Challenge Fun with a Freebie! Color Challenge Fun with a Freebie! Over at Inspiration Lane they have lots of fun digiscrap challenges. This week I found my self inspired by the "Colors to Inspire You" challenge hosted this month by Christie Lemmon of Christie Lemmon Designs. If you haven't participated in a color challenge before the palette this month is a fun one. You can either scrap a LO with those colors or design a mini kit or a paper pack with the palette. I created this little mini kit for the challenge. It contains 5 papers, 1frame, 1 pearly scatter, 1 curling ribbon, 1 flower, and 1 button with a ribbon tie. 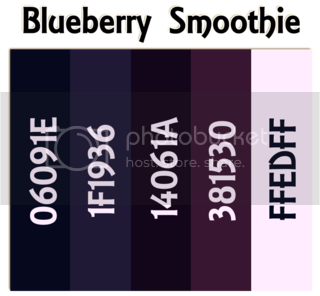 to grab the bERRY bLUE mini kit click image above. You can use my mini kit to make some LO's for the color challenge, too. Thank you so much for this Freebie. I want to let you know that I posted a link to your blog in Creative Busy Hands Scrapbook Freebies Search List, under the Kit(s) post on Jul. 10, 2009. Thanks again. very pretty..love that curling ribbon and the scattered pearls r great 2! New Kit, Big Sale, and a CT Call!